Right now, I mostly make food and packaging minis in 1:12 scale. Lately, I’ve been creating miniature figures and dioramas. What materials do you use to make miniatures? 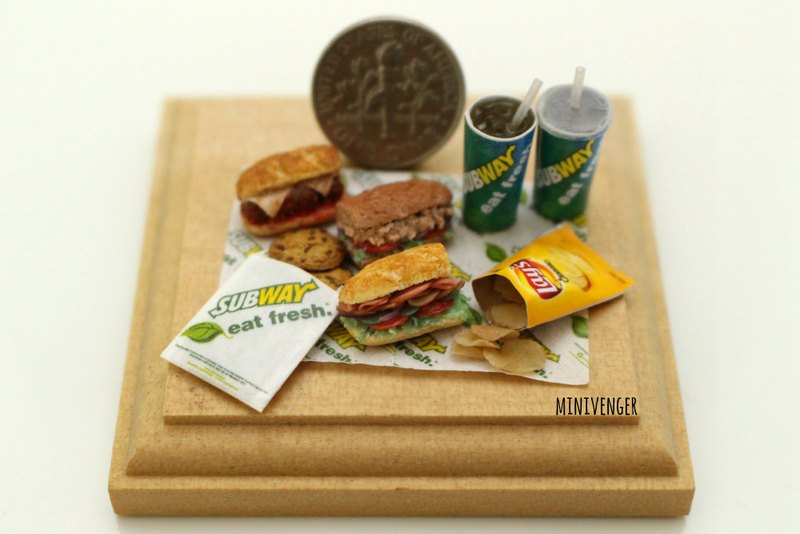 I use polymer clay for food miniatures. I also use all different kinds of materials when I make non-food items. How long have you been working with miniatures? I started making miniatures a few years ago but stopped for about a year because of my second pregnancy. This time around, I’ve only been creating for 1 year.